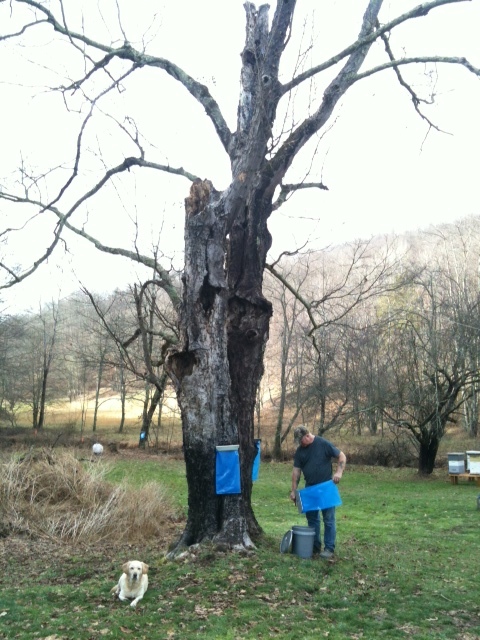 This entry was posted on Thursday, January 17th, 2013 at 10:47 pm and is filed under Maple syrup, Maple Trees, Off-Grid. You can follow any responses to this entry through the RSS 2.0 feed. You can leave a response, or trackback from your own site. No she is not talking about me being old. Kind of safe. We check it after each wind storm. Thank goodness your girls were not hurt. I’m sure that gave them a good scare and you too! Hello Linda, So glad I landed on your blog! I found your site after having a FB debate with friends of Lee Zeidler (an old Navy buddy). As I was preparing a snarky response to Sonny I thought I should at least take a minute to get to know a bit about my opponent. Perusing his FB profile I saw the old pick-up, then the off grid living, and finally self sustaining lifestyle. I no longer had any snarky in me! I too have no background in what you do (although I do have 20 acres in the country that would be perfect for off grid living) but want to do this in the near future when we return to the states to settle and retire a bit early. You have an nice writing style. Thanks for sharing your lives with the rest of us wannabe off grid types. Thanks Dana, I try to leave all politics off this blog. We have learned a lot while doing this but it’s all good. If you get time I recommend you start from the beginning and see how things progress. Enjoy.